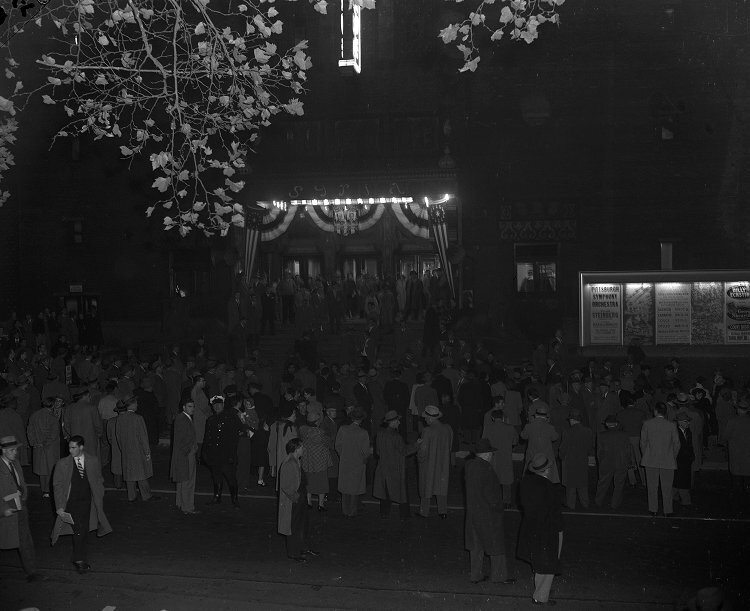 A crowd outside the entrance to the Syria Mosque on in 1952. The sign above the entrance says, “Vote Stevenson-Sparkman,” referring to Adlai Stevenson and John Sparkman, the Democratic candidates in the 1952 election. The Stevenson-Sparkman ticket would lose to the Republican candidate Dwight Eisenhower. Beyond serving as a venue for musical and theatrical acts, the Syria Mosque was used as a campaign stop for presidential candidates and other politicians. Nixon and John F. Kennedy made speeches at the Syria Mosque during their candidacies.